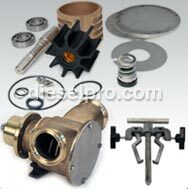 Diesel Pro Power is the best online retailer that offers you Series 60 12.7 L parts. Here at Diesel Pro Power, we are proud to boast that we are the largest end-user distributor of parts for Detroit Diesel engines. 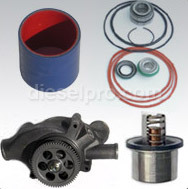 No matter what kind of Detroit Diesel replacement parts you find yourself in need of, we are sure to have something in our inventory to accommodate your needs. 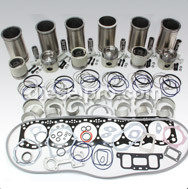 All the items you'll find on this category page are specifically designed to be compatible with Series 60 12.7 L engines, so you don't have to worry about purchasing the wrong part for your engine. Although parts that aren't made specifically for your engine might sometimes work in them, it is not recommended that you use them because they can end up causing a lot of major damage to your engine. Even if the damage isn't immediately noticeable, it could creep up on you over time and end up costing you more time and money to fix. It's better to use only parts that are made for your engine to ensure a long life expectancy of functionality of your diesel engine. 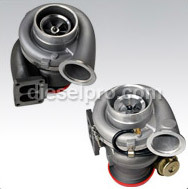 Here at Diesel Pro Power, we are dedicated with providing you high quality Diesel parts for your specific engines. We carry products for every engine type, and we'll be more than happy to assist you with finding the part that you need. Additionally, we offer you a troubleshooting guide that you can access to help you determine the part that you need for your engine. Our troubleshooting guide is designed to help you no matter whether you're an owner, operator or mechanic of diesel engines. Browse our inventory today to find what you need and have it shipped directly to your door.